The overwhelming clean feeling of this track, the minimalism of it, the lack of clutter, fresh and chilly powers forward like the generator to a giant dream machine. Hard kicks nononsensely thud with rounded edges, pushing the listener towards the waking end of the spectrum of sleep, each one a bulge against the wall of unreality that you're cushioned in, cocooned in warmth and heavenly flavours; the snare is carefully abrasive, punchy with a sandpaper roughness to it. And the internal noise kicks in, the jostling judder of soft synth bass, a podgy unthreatening sound, a byproduct of the biological engine working at the heart of this sound. The minimalist dimension of sleep begins to give way to an ambient blare of daybreak: heavenly synths shine golden like a veil. Sharper synths join in, flute sounds, conjuring divine scenes atop Mount Olympus, cloudspun tales in the form of synth washes, occasional incidental melodies played with a clear set of synth bloops. Shakers shuffle, hi-hat flashes like slo-mo strobes, the glitter of chimes specks speckles sparkles of light the decorative welcome of the day formulating an awakening for you. Although with its distinct house feel, 'Wake Up' feels more like when you must wake up having fallen asleep at someone's house and you have to get home in the depths of the night. In a shimmer of opening eyes at 6:41, DSC implores us "wake up…wake up…wake up…" through hazy echoing samples and moving into the track's finale that is a bristling tapestry of mini handclaps and we drag ourselves up with renewed energy and head into the cool of dawn. 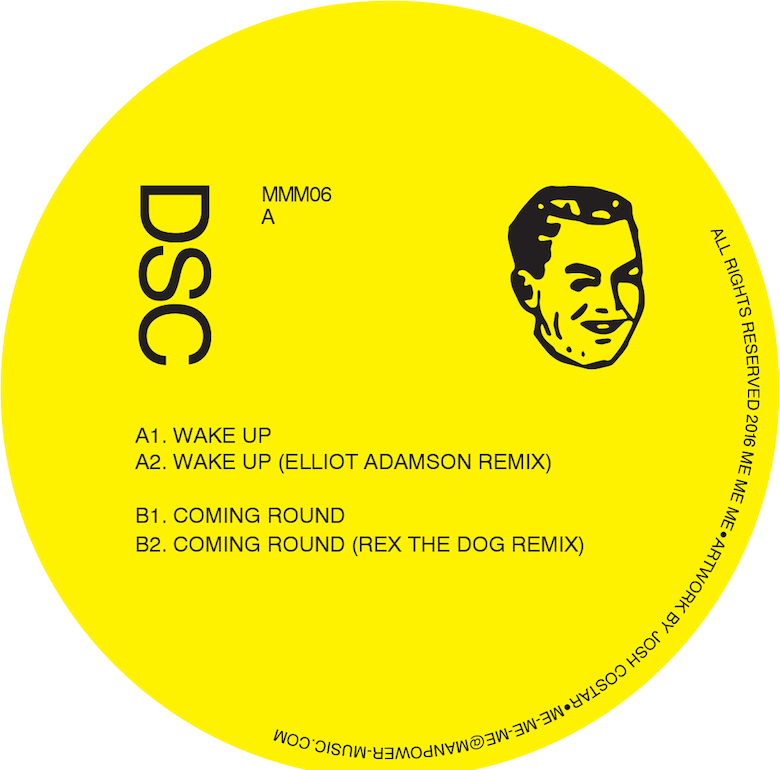 🔔 This track from DSC (short for Desert Sound Colony btw) is taken from double-single Wake Up / Coming Round which is out now courtesy of British DJ Man Power-owned label, Me Me Me. Comes complete with remixes by Elliot Adamson and Rex The Dog.